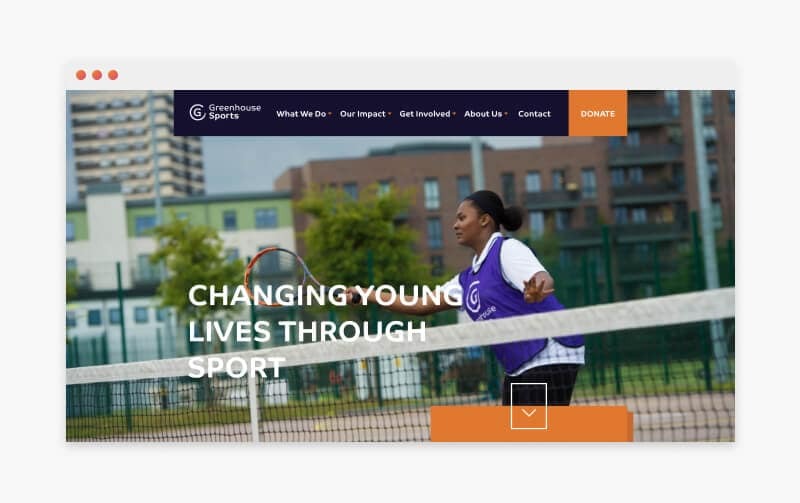 Greenhouse Sports is a London-based charity that uses inspirational sports coaching and mentoring to engage young people from disadvantaged communities, and improve their life chances. Driven by a belief in the power of sport to raise the aspirations of young people and help them reach their full potential, Greenhouse has developed a range of programmes that contribute to the long-term development of their participants’ life skills, with their award-winning Social, Thinking, Emotional and Physical (STEP) framework. 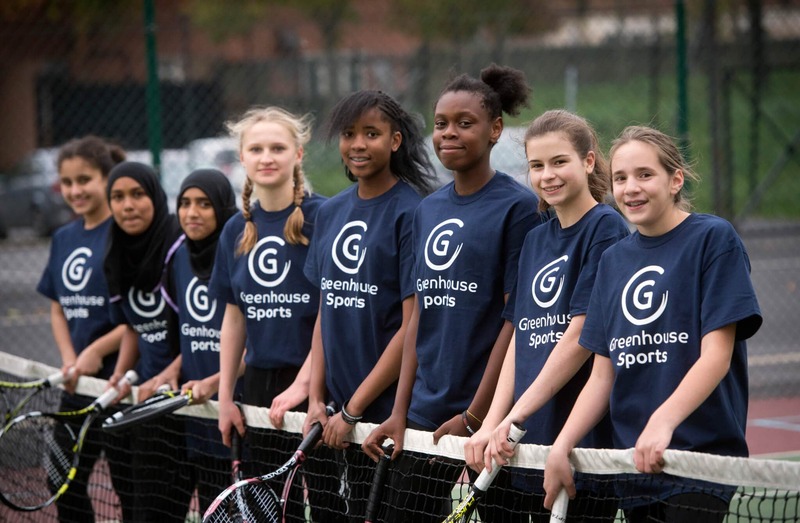 Founded in 2002, Greenhouse Sports was originally set up as a sports coaching pilot to give young people on a local housing estate something positive to do in the school holidays. In 2004, the project moved into schools, where they could reach even more young people and Greenhouse has continued to grow, with programmes now available in 18 boroughs across London. Making a positive difference in the world is a big part of who we are as an agency, and working with Greenhouse Sports to help raise the profile of the amazing work they do was a great opportunity to make a difference more locally. We’re proud to have played our part to support this work, which will have a long-term effect on the lives of disadvantaged young people in communities across London. Greenhouse got in touch with our team to help them create a brand new, modern website that more clearly articulates what they do, and why. As well as making the site more engaging for visitors, which include potential funders, schools and the general public, they also wanted to make it easier to navigate, and for the difference audiences to be better able to find the information they need. In order to make sure that we gained a full understanding of what each group of users wanted from the website, and what Greenhouse Sports wanted to achieve, we initially got together for a thorough discovery session. During this session, we sought to understand the journey of the different site visitors, and how we could design a new website that would better meet the needs of those visiting, while also achieving the desired outcomes for Greenhouse. 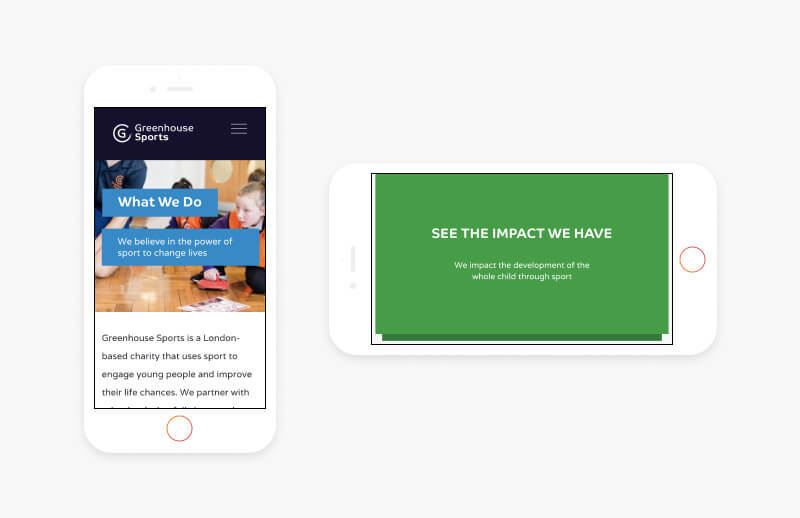 As the main objective for all audiences was to make the site bolder and more visually engaging at the outset, while also making the key messages clearer, we updated the homepage so that what Greenhouse does, and the impact this has, takes centre stage. 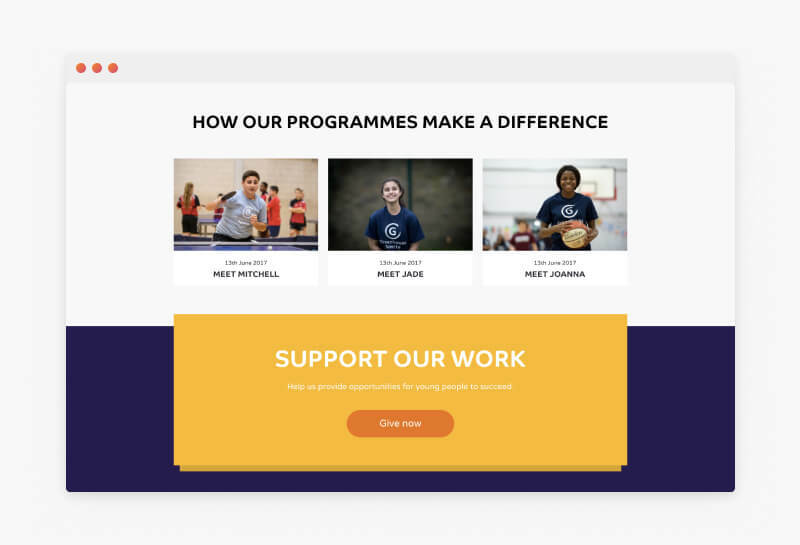 We created a bold new drop-down menu to make the site more easily navigable, and added latest news to the front page so that people can quickly see the charity’s latest success stories. To appeal more to both current and potential funders, we made the impact page more enticing by adding more visually appealing elements. In addition to bolder calls to action, we added case studies that animate on hover, encouraging users to click through to find out more. We also made it easier to find information on the research that supports to effectiveness of Greenhouse’s approach, which appeals to both of the main site user groups. Most visitors to the website are interested in where Greenhouse programmes can be found in London. To make these easier to locate, we developed an interactive map with an advanced search function, so that users can search by school or postcode, and sports category, for local programmes. Finally, for schools that are already using Greenhouse programmes, the team wanted to be able to set up several microsites to direct them to for further information. To achieve this, we set up the site as a WordPress multisite, so that Greenhouse could set up their own sub-sites using the same theme.